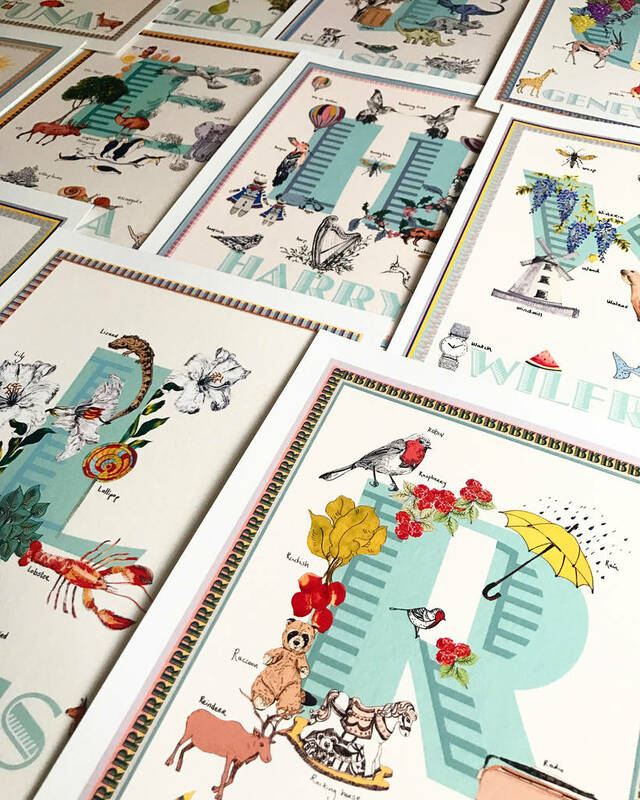 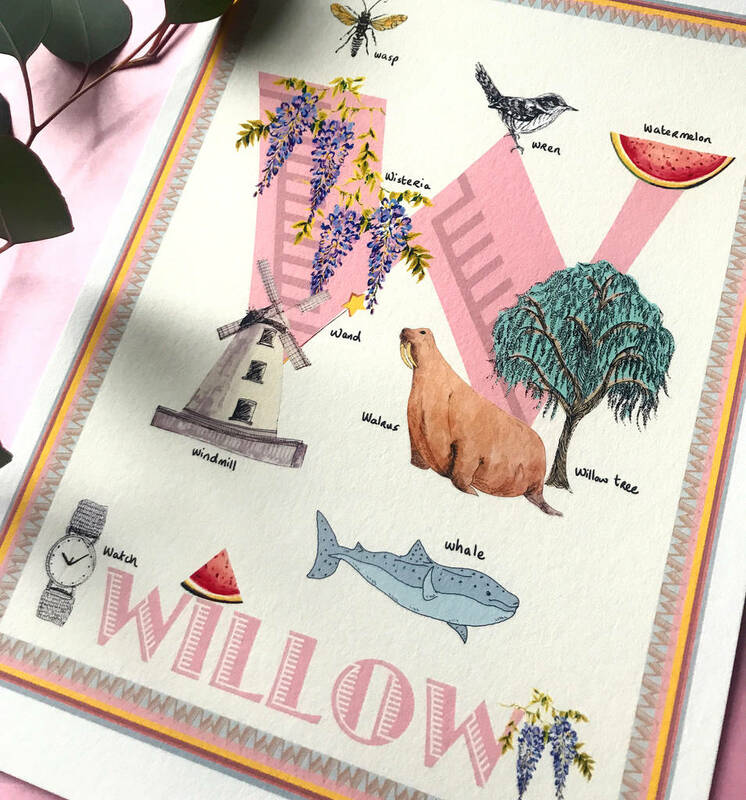 These alluringly illustrated and personalised letter prints make for a very thoughtful gift that will be treasured for life. 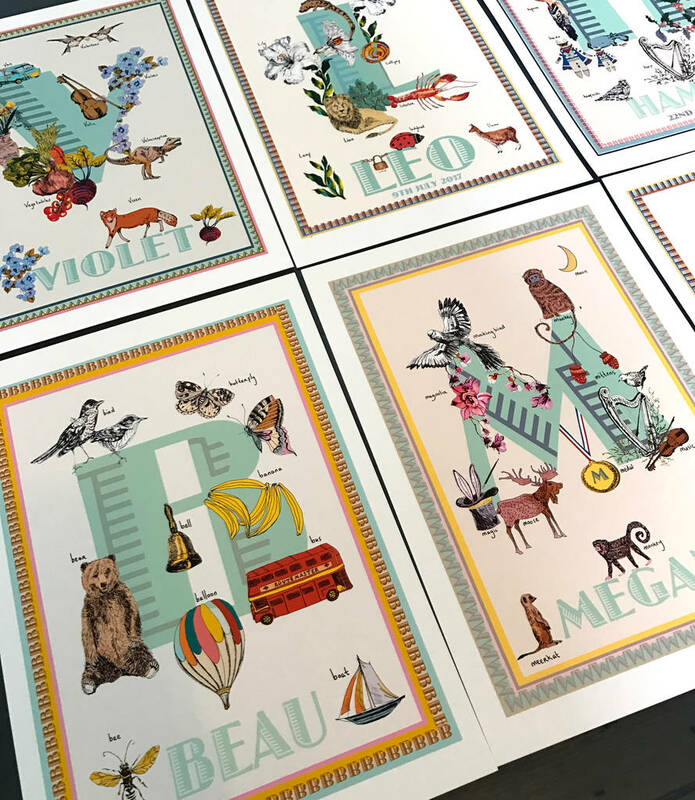 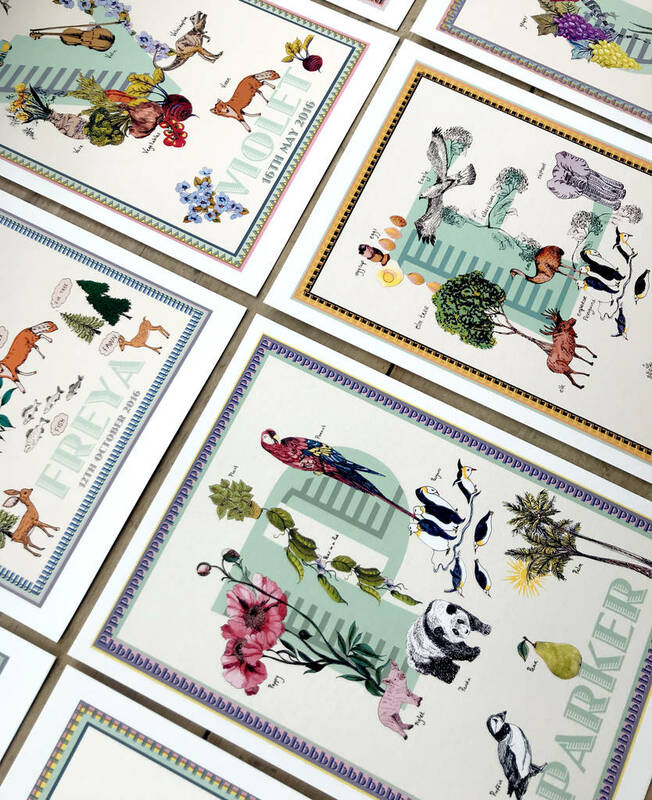 The design of each different letter print features drawings of objects and often animals that begin with the letter in question. 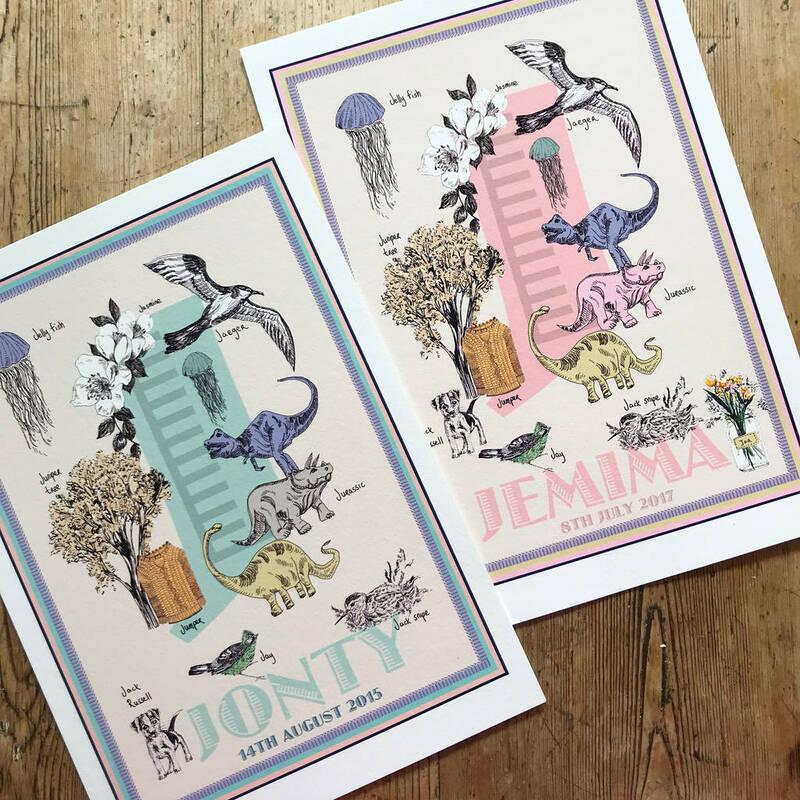 Colours are carefully selected so as the design has a vintage yet timeless feel and are unisex as the colour of the letter and name is a lovely minty green, however dusky pink is also an alternative option for those pink obsessed girlies out there. 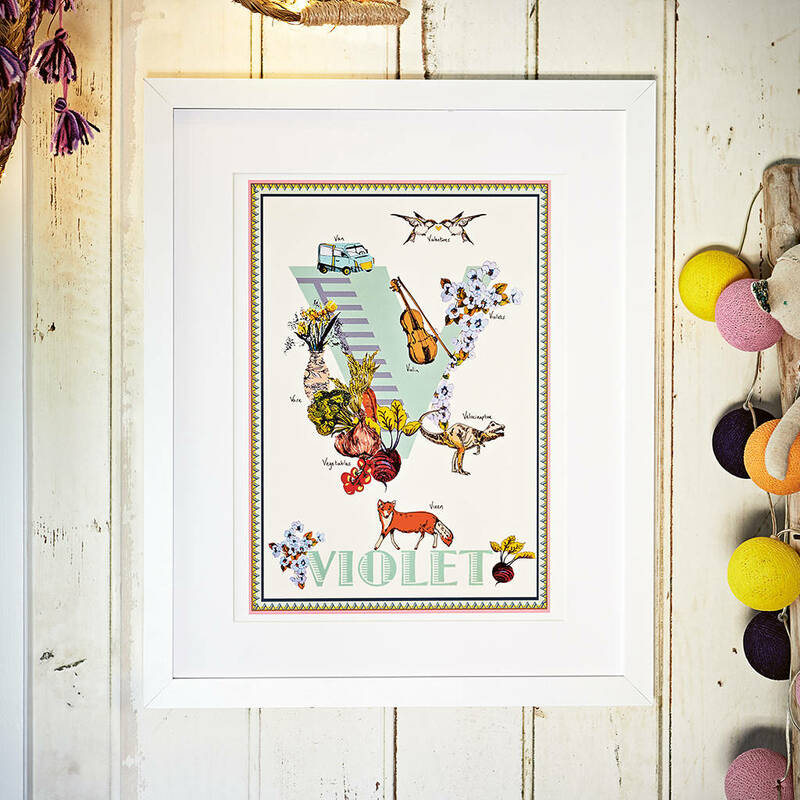 One of the main objectives when designing these prints was that they didn't look too ' babyish ' or ' kiddie ' like, so that they could stay with you and become part of your life journey, a treasured gift that doesn't look out of place in a baby's nursery, a child's bedroom and perhaps eventually to be hung on the walls of a first home. 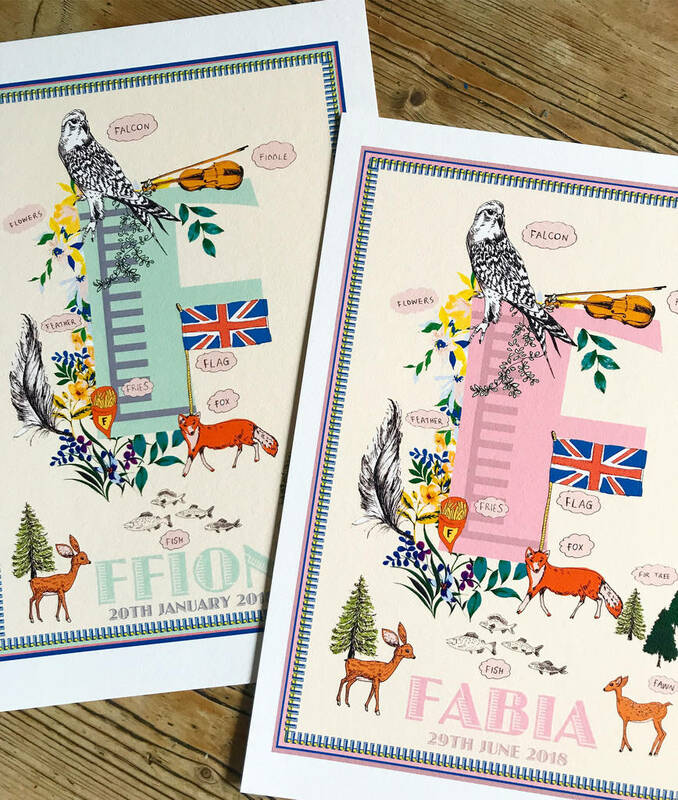 As each print is custom made please be sure to place your order in plenty of time especially during busy periods such as in the run up to Christmas to avoid disappointment. 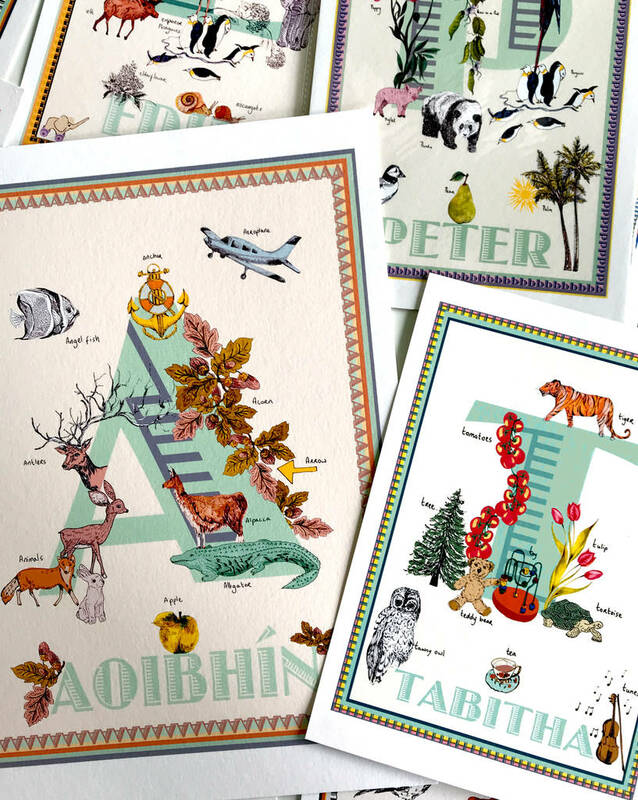 Gift vouchers are also available . 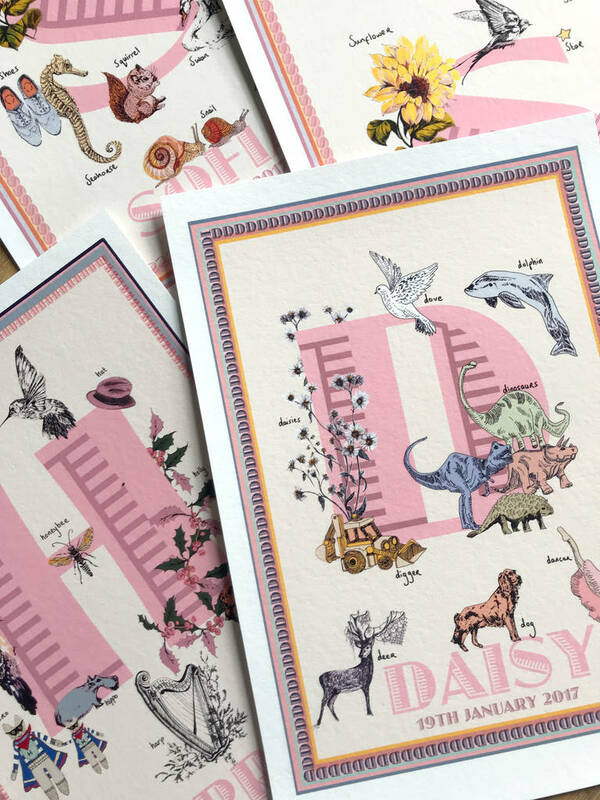 Please be sure to select the letter and colour you would like in the drop down box and to fill in the personalisation box too. 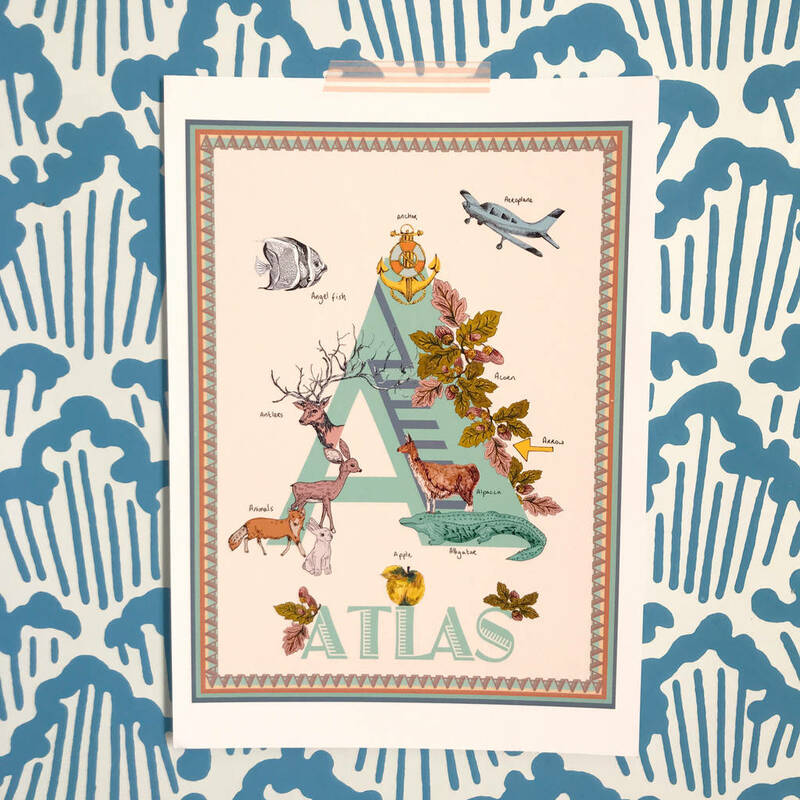 either with just the name and DOB (if you would like that included too). 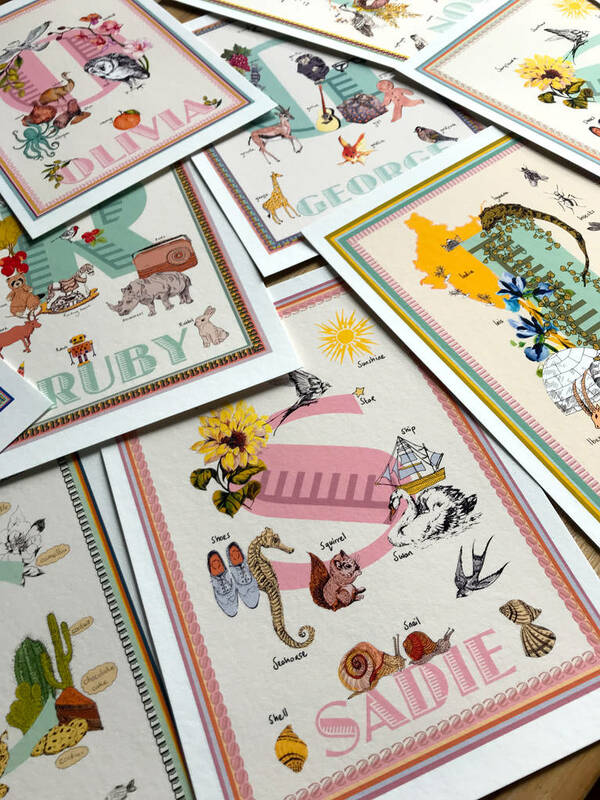 Each print is carefully wrapped in a protective cellophane case and then in tissue paper with our lovely stickers, perfect for gifts! 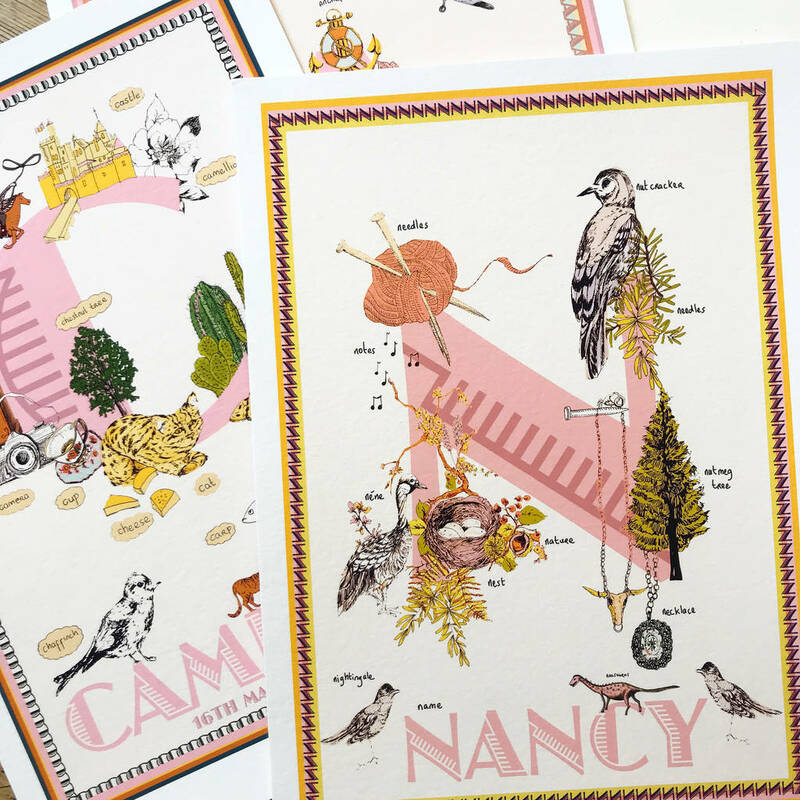 All prints are then packaged in a sturdy board backed envelope. This product is dispatched to you by max made me do it.